Singer Paul Simon performed a song at the funeral for Victoria Soto, one of Newtown's heroic teachers who died while trying to protect her students from rifle fire during Friday's massacre. 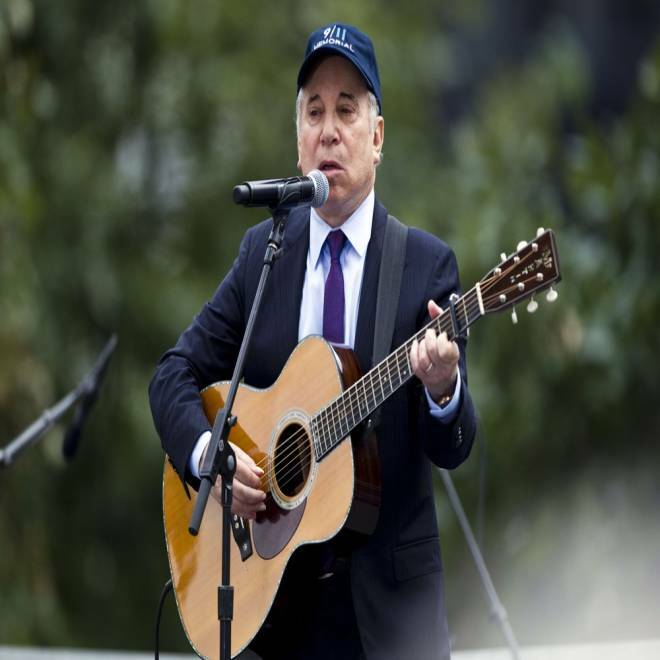 Paul Simon is seen performing "Sound of Silence" during the 10th anniversary commemoration of the attacks on America at Ground Zero in New York on Sept. 11, 2011. He performed the same song at Victoria Soto's funeral. In a statement issued by Simon's publicist, the personal connection between Simon and the Soto family was explained. "Today, Paul Simon, at the request of their family friends, the Sotos, performed 'Sound of Silence' at the funeral for their beloved daughter Vicki Soto. The Sotos and Simons met through Vicki’s mother and Paul’s sister-in-law, both nurses." "Sound of Silence" is the same song that Simon performed to commemorate the 10th anniversary of Sept. 11. Soto, a first grade teacher at the school is remembered for being passionate about the children she taught, and for reportedly saving some of their lives by hurrying them into a closet away from the shooter. Share your thoughts about Simon's song on Facebook.